In a new volume of her exegetical commentary, Sr. Aquinata Böckmann explores chapters 4-7 of the Rule of St. Benedict. They contain Benedict's instruction of how to learn and live the spiritual art of monastic life that is focused on Christ. In her close reading of the text and its sources she pursues questions such as the following: How do general Christian rules help us to live in community? How does obedience lead us closer to Christ? How does silence build community? How does humility deepen our love for Christ and those around us? Never losing sight of the reality of monastic life, Sr. Aquinata weaves together Benedict's wisdom and today's challenges to show the crucial spiritual elements of his Rule. Aquinata Böckmann, OSB, PhD, is a member of the Benedictine Missionary Sisters of Tutzing, Germany. She has taught in Rome since 1973 at the Pontifical Institute for Spirituality and Moral Theology Regina Mundi and as the first woman professor at Sant' Anselmo. She is the author of Perspectives on the Rule of Saint Benedict, Around the Monastic Table, and A Listening Community, all published by Liturgical Press. "Sister Aquinata Böckmann is among the foremost contemporary exegetes of the Rule of Saint Benedict. This latest part of her magisterial commentary to be translated covers the chapters that deal most directly with the Rule's spiritual teaching: good works, obedience, silence, and humility. As such, it will be a useful and delightful tool for any who seriously want to penetrate the meaning of the text and to learn a methodology both for understanding what Saint Benedict wrote and for appreciating the personal qualities of the author. A book for any serious reader of the Rule of Saint Benedict." 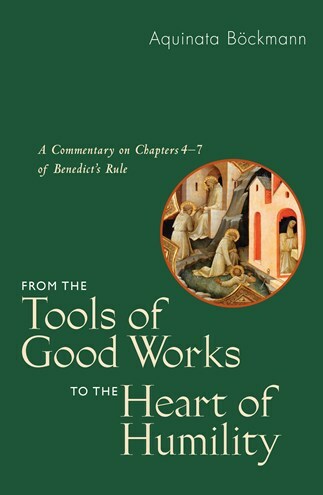 "In this fourth volume of her commentary on the Rule of St. Benedict, Aquinata Böckmann takes us into a richly sustained analysis of the spiritual wisdom at the heart of the Rule. Once again, the reader is exposed to a thoroughgoing exegesis, this time of chapters 4–7, with Aquinata's usual adept use of patristic and scriptural material. Her emphasis on the personal challenges and pastoral implications which these texts examine when correctly interpreted in the light of today's social, political, and ethical questions confirms the continuing relevance of the Rule of St. Benedict in the twenty-first century."